April 17, 2018 – The University of Houston College of Education is pleased to announce its 2018 Star Award winners, professionals who have distinguished themselves in the community and who exemplify the College's commitment to service. The College will honor the winners, along with student scholarship recipients for 2018-19 and scholarship donors, at its annual Star Awards event on April 25 at the UH Hilton. 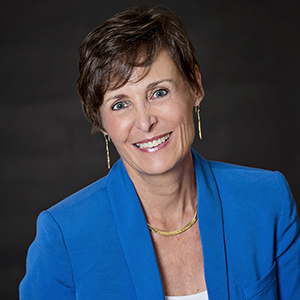 Anette Edens is a licensed psychologist in Houston with more than two decades of experience. A specialist in helping families dealing with adolescent substance abuse, she authored "From Monsters to Miracles: Parent-Driven Recovery Tools That Work" and previously founded a sober high school. She serves on the University of Houston Board of Visitors, chairing the Medical School Task Force, and serves on the College of Education's Capital Campaign Committee. 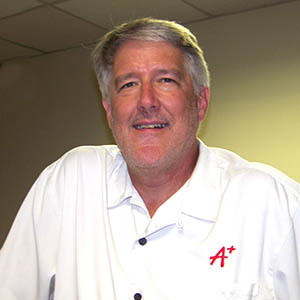 Edens has a bachelor's in math and computer science from Southern Methodist University and three degrees from UH - an M.B.A. ('77), an M.Ed. in counseling psychology ('89) and a Ph.D. in counseling psychology ('94). 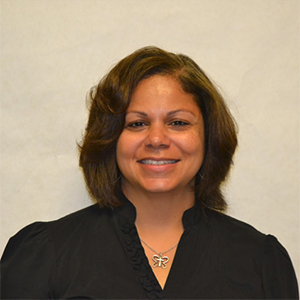 Rebecca Sanford has more than two decades of experience as a public school educator and currently serves as principal of Hambrick Middle School in the Aldine Independent School District. She won the district's Secondary Principal of the Year Award in 2015-16. She also serves on the board of the University of Houston Charter School. A three-time UH graduate, she has a bachelor's in communication disorders ('94), an M.Ed. in educational psychology ('96) and an Ed.D. in educational psychology with a specialization in special education ('00). She was the first-African American woman to graduate from the College of Education's doctoral program in special education. Scott Van Beck has served as executive director of Houston A+ Challenge since 2007, leading the area's largest nonprofit dedicated to public school improvement. He has more than 20 years of experience as an educator in the Houston Independent School District, starting his career as a middle school teacher, serving as principal of two schools and later serving as west region superintendent. As principal of Revere Middle School, he was named Region IV Middle School Principal of the Year. Van Beck has a bachelor's in history from the University of Iowa as well as a master's in history ('89) and an Ed.D. in administration and supervision ('11) from the University of Houston. 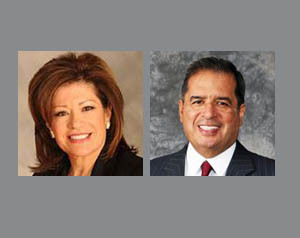 Irma Díaz-González and Roberto González are longtime education advocates and business leaders in Houston. As co-chairs of the College of Education's Capital Campaign Committee, they lead a fundraising effort that will have an impact on the College and the community for generations to come. Irma serves as president and CEO and Roberto as executive vice president of E.T.C., a recruiting, staffing and human resources company they founded in 1987. She has served as chairwoman of the Houston Hispanic Chamber of Commerce and on several other boards, including United Way of Greater Houston and Center for Houston's Future. He has served on the Dean's Advisory Board for the College of Education and on the boards of the University of St. Thomas School of Education and Houston A+ Challenge.